Hunkler Search Associates is an executive recruiting firm specializing in permanent sales placements within the HEALTHCARE IT SALES and MEDICAL DEVICE SALES fields. Founded in 1993 and located in both Charlotte, NC and Roanoke, VA, HSA recruits nationally with an emphasis in Southeastern United States and the Carolinas. As a member of First Interview Network we offer both employees and job seekers access to over 400 search firms nationwide with one contact. Our Clients range from Fortune 500 companies to venture funded start up companies. We take pride in performing a true "recruiting/matchmaking" process versus a resume warehouse. To both our clients and our job seekers we professionally assure confidentiality, credibility and a commitment to build mutual trust. Our mission is to maintain the highest ethical standards throughout the entire search process. At Hunkler Search Associates we have built a solid reputation based on the high caliber of candidates referred and the extra effort required to find and recruit exceptional talent in a tight labor market. We truly feel we are only as good as the candidates we refer and the companies we choose to represent. The Company: Satisfied with hiring a viable/promotable sales team asset. The Job Seeker: Happy with new growth opportunities and stronger earnings potential. 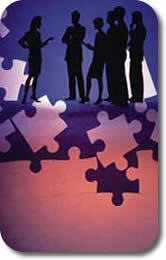 Hunkler Search Associates: Successful contingency placement and overall good will.